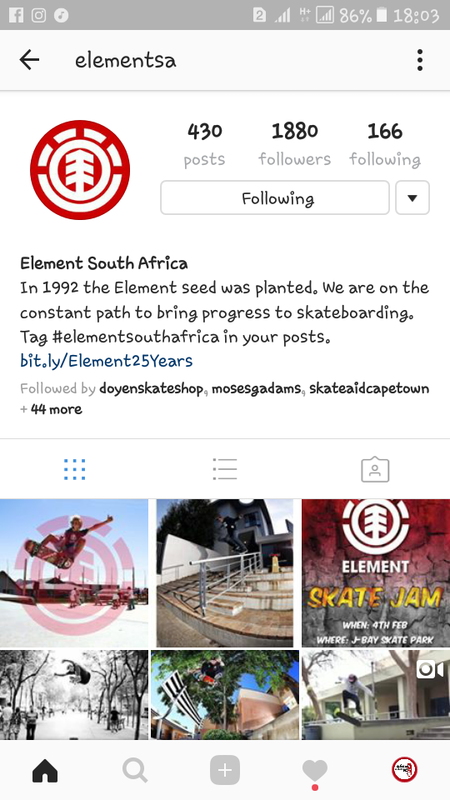 Element South Africa Today has launched 2017 #ElementSponsorMe Campaign to give chances to African skateboarders to join the team. 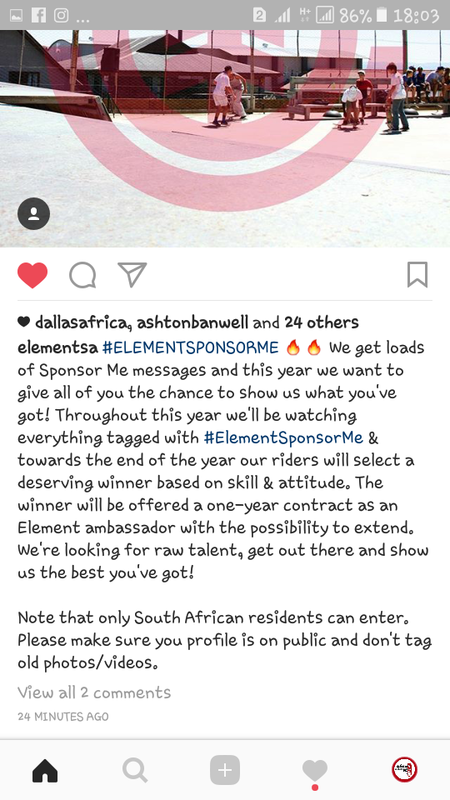 At the end of 2017 Element South Africa team shall select one winner. A winner shall sign 1 year contarct of being official #Element Ambassador with possibility of extension.